To make sense of the broad and complex world of games and learning, we’re inclined to create neatly organized lists and categories. The truth is that there are so many different kinds of learning games, it's difficult to break them down into clear-cut categories. Especially in an atmosphere of ed-tech entrepreneurship that aims to disrupt our habitual way of thinking about education, familiar classification structures can sometimes hold us back more than they move us forward. It feels contradictory to divide up the learning games landscape after arguing, earlier in this series, that games can help address the educational need to break down the boundaries between traditional academic content areas. Taxonomy is always tricky and useful only to the degree in which it simultaneously acknowledges ambiguity and fuzziness. But to make it easier to digest, let’s explore some classifications. What criteria matter when considering learning games? First, ask the broad questions: How and when a game can be used? Then, be more specific: What kind of game is best suited to particular learning objectives? When teachers plan activities for the classroom, we're usually constrained by the school schedule. Time is set aside for class and we need to work within this framework. Teachers, therefore, think in blocks of time; video game developers don’t. Most video games are played over a longer period of time, often broken down into smaller individual sessions. Think about the earliest iterations of "Super Mario Brothers." Although you may play only for 30-40 minutes at a time, the game remembers your progress and you can come back to start again from just where you left off last time. Gamers remain on a long continuum toward mastery. How does such a journey translate into the classroom? In their report, Games for a Digital Age: K-12 Market Map and Investment Analysis, the Joan Ganz Cooney Center makes the distinction between short-form and long-form games. They point out that in a day that’s divided into 40-minute class periods, “transition time and time for instruction or discussion connected to curricular material frequently leaves only 20 to 30 minutes for actually using a learning game.” Short-form games can easily fit within that time frame, but long-form games require a multi-period commitment. Short-form games tend to resemble the kinds of casual smartphone games that even adults tend to fiddle with during idle time. The majority of games recommended in this series have been short form. "Wuzzit Trouble," for example, the game Keith Devlin created in order to allow students to actively experience number partitions, can occupy a player for hours, or it can be played for 10-15 minutes. Played in small doses, short-form games can serve as great interactive examples, reinforcing and supplementing a teacher-driven curriculum. Short-form games tend to work best for learning when they're focused on a specific skill set or concept. Think of them like brief simulations. For argumentation and rhetoric, check out GlassLab’s "Mars Generation One: Argubot Academy." For environmental science, try Filament Games’ "Reach For The Sun." Long-form games tend to be more open-ended and intricate. These games often start simply and expand over time, so they can easily form the backbone of an entire curriculum. Games like Muzzy Lane’s "Government In Action" can replace a textbook. Long-form games, such as Amplify Learning’s "Lexica," are great for teachers who are really comfortable with video games and have dependable access to newer hardware. Or, try a game-based curriculum, like the Mind Research Institute’s "ST Math." Crossover Creative Game-based Platforms can fit into either one of these categories. They are flexible in the way they can be implemented. "Minecraft" is a great example of a game that can be used as either short form or long form. Teachers can create short one-time simulation-based assignments, or longer multi-period projects. Game design and coding platforms, such as Gamestar Mechanic, Scratch, or ScratchJr, also cross over and can be used in either short-form or long-form applications. Teachers could introduce these platforms early in the year so that kids become familiar with the interfaces; then they can be used throughout the year for a variety of projects that don’t even have to be related to one another. There are also different genres of games. Puzzlers are probably the most familiar kind of game. They involve identifying a pattern or system and arranging objects according to a certain set of rules. "Tetris" is not only the best-selling video game of all time, but also a fairly simple puzzle game. Many games that began in non-digital versions -- solitaire, mahjong, Sudoku -- are also puzzlers. In fact, almost all games have an underlying puzzle structure. Otherwise, they’d be completely random, with no patterns whatsoever, and not much fun. All video games, like puzzlers, are about pattern recognition. And once the player understands the pattern, the challenge comes from either more intricate puzzles (more complicated levels), or from changing the speed or circumstances in which the player needs to solve the puzzle. When this happens, the game becomes a Drill and Practice game. Great games like "DragonBox Algebra" and "DragonBox Elements" combine drill and practice with increasingly difficult puzzles. 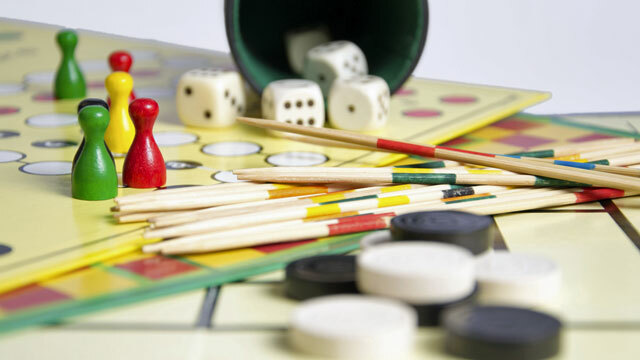 Both of these types of games are especially well suited to mathematics. Traditional manipulatives and non-digital games are plentiful in math because those skills are easily translated into simple patterns. Video game technologies allow developers to design interactive versions of classic math problems. When developers add compounding puzzles to be solved through a series of moves, it becomes a Strategy Game. Strategy games are also often multiplayer. And when it comes to learning games, it's common for them to be focused on history. Games like "Historia" or "Making History" can offer experiential simulations of historical events. When students control the armies, key moments in geopolitics suddenly feel substantially more dynamic than just a chronological account of battles. Games like these work well when implemented alongside traditional lecture and research strategies. The long-form strategy games offer an engaging motivation for students to understand and internalize the material. Some strategy games ask players to embody individual characters. These become Role-Playing Games. Think of "Dungeons and Dragons." Digital role-playing games are very similar to dice-based role-playing games. Digital platforms, however, make the logistics easy and efficient. No need for tons of cards, binders of scenarios, and little pieces; these things can be employed virtually. "Mission US: Cheyenne Odyssey" is a great example of an educational role-playing game. As the game is described, players become Little Fox, a Northern Cheyenne boy whose life is changed by the encroachment of white settlers, railroads, and U.S. military expeditions. Think of it like a historically accurate digital choose-your-own-adventure book that takes place between 1866 and 1876. Students imagine themselves in the role of a Cheyenne youth. It makes something that seems initially foreign immediately relatable. All of the "Mission US" games are free and come with exhaustive teacher guides. Some games offer a world of experience without clear objectives. These are called Sandbox Games. Minecraft is the most well-known example of a sandbox game. Just like its life-world namesake, Minecraft is an open-ended creative space but with virtual shovels. Certainly the block world has unique properties (physics engine), but players can do whatever they want within those parameters. MinecraftEdu is a version of the game modified for education that allows teachers to create even more specific parameters that correlate to lesson plans. You can read a lot more about how teachers use Minecraft here. This list is certainly not exhaustive. There are other kinds of game genres and even subcategories within each genre. But the learning game space is still in its infancy. So many possibilities have not yet been explored. Platformers, fighters and first-person shooters, for example, are among the most popular commercial genres, though I’ve yet to see a good educational implementation of these genres’ conventions. One thing is for sure: creative educators will continue surprising us with ingenious game-based tools that can help teachers and students achieve success together. Let this list be a starting point to help you to choose appropriate games for your classroom.